She’s ghostwriting a book for a famous author–a recently deceased one. A struggling writer living in Manhattan, Jacy McMasters is the first to admit she’s a terrific liar and a screw-up. Then the ghost of the famous novelist JD Balinger asks her to “channel” a follow-up to his classic coming of age book, The Watcher in the Sky. Along with her new boyfriend, a bear of a man who has no patience for mind games, the ghost in Jacy’s head forces her to confront a lifetime of secrets—dark secrets. Secrets she’s been keeping from herself. Connect with Mickey through her Website. Jacy is an author that never got far. She has a lot of baggage and copes by denial, drinking and sleeping with guys she picks up in the bars. One day she is approached by a man that wants her to channel him and write a follow up to his book, The Watcher in the Sky. The man is JD Balinger, recently deceased author and once of Jacy’s favorites. Besides writing the story, JD is also helping Jacy deal with her past. But her present boyfriend can’t understand the idea of the ghost in her head and doesn’t want to play her games, even if she is trying to have a fresh start. This is my first book of Mickey Corrigan’s that I have read and I just loved it. There is so much detail that you can’t help but feeling right there in the scene. Jacy clearly has some serious issues along with horrible coping skills. It was easy to get drawn into Jacy’s story with the little bread crumbs sprinkled about that come together nicely. This is a dark contemporary romance with a gritty look at lives we don’t normally think about. It is a great story. I will definitely be reading other books by Mickey Corrigan. 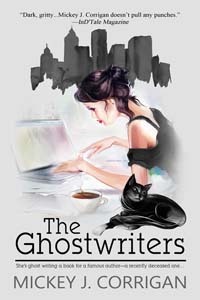 To purchase The Ghostwriters make sure to check out Amazon, Barnes and Noble and Goodreads. 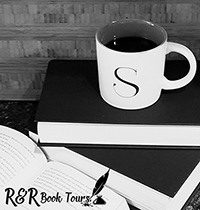 I received The Ghostwriter for free from Sage’s Blog Tours in exchange for an honest review.